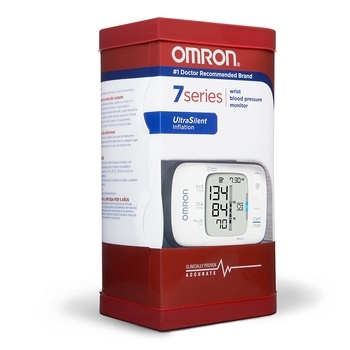 We're offering a great sale price on our automatic blood pressure cuff that you wear right on your wrist, so you can conveniently take a reading anytime you wish. 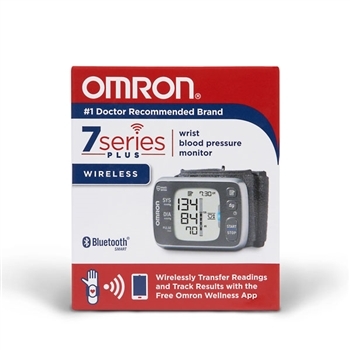 If you're trying to get a clear picture of how your blood pressure (BP) readings affect your overall condition, you can use this wrist blood pressure monitor that saves your readings along with dates and times they're taken. Your portable BP cuff will save up to 90 readings. 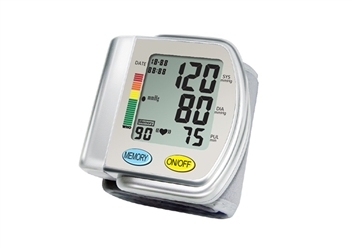 At just the touch of a button, you're provided a current blood pressure and pulse rate indicated on a large, clear, easy-to-read LCD display panel. This is made possible by the wrist BP monitor's automatic inflation function. This blood pressure wrist cuff runs on 2 AA batteries, which are included, and there's an onscreen warning that lets you know when it's time to replace the batteries. The monitor also includes a free hard plastic carrying case. Everything went according to ordered and the product is just what I wanted.